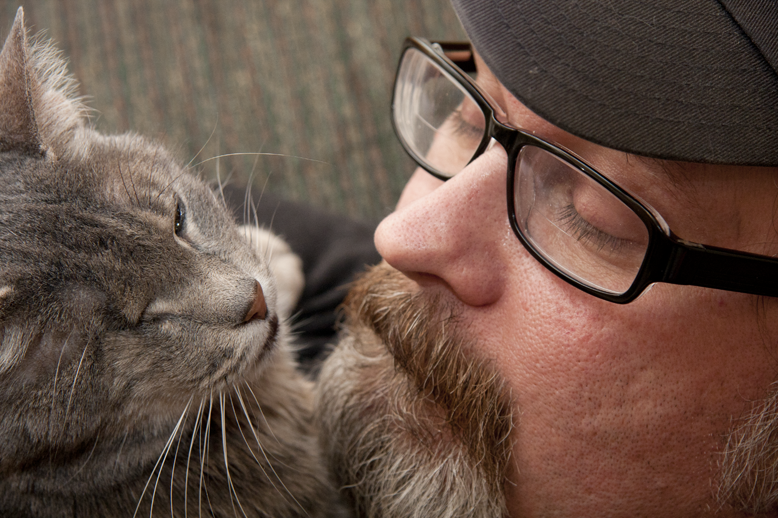 Taking a stab at DPS’s Weekly Challenge, Portrait of a Man: Jason and our one-eyed cat, Sylvia. Hand held, manual focus, Program mode, flash bounced off the wall to the left, but angled a bit toward the back, so not straight from the left.. This entry was posted in Photography and tagged bounced flash, cat, photography, portrait, postaday. Bookmark the permalink.